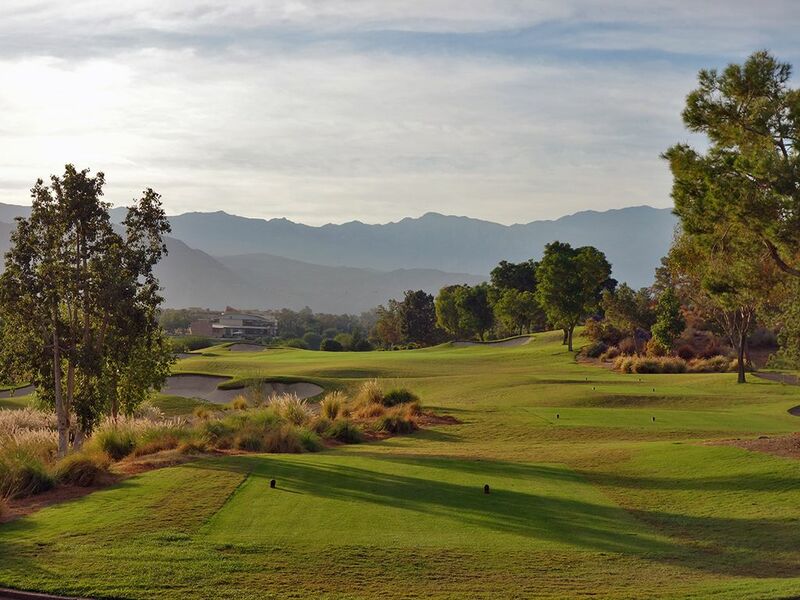 Course Website: Official Website - Visit Indian Wells Resort (Players)'s official website by clicking on the link provided. 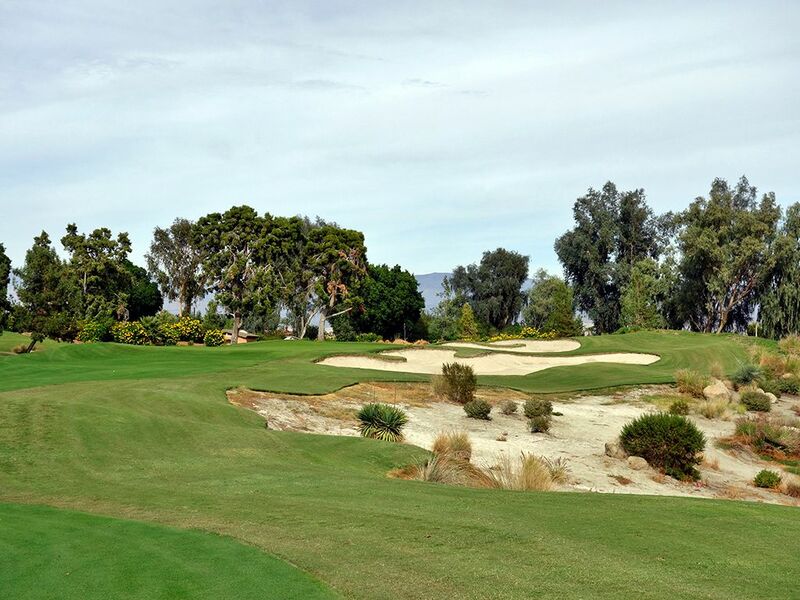 Accolades: Ranked 24th in California on Golf Course Gurus' Best in State list. 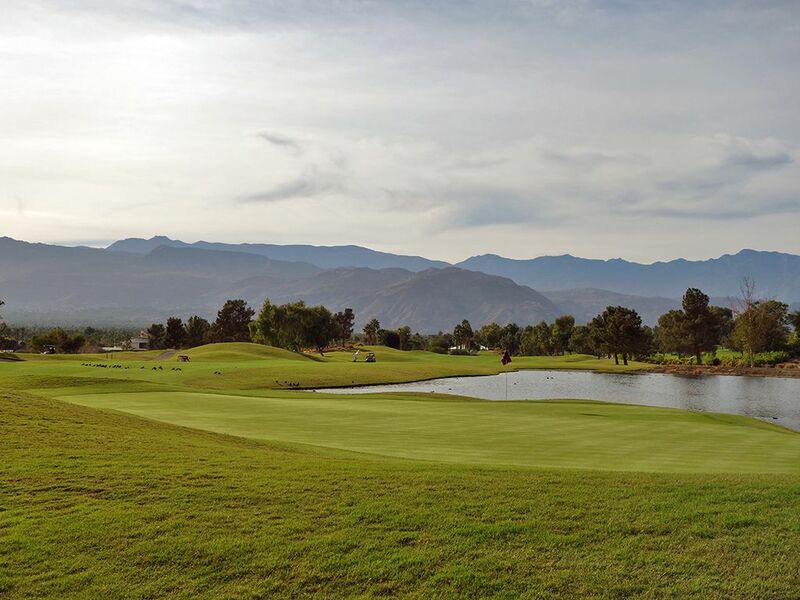 What to Expect: Indian Hills Resort is a 36 hole facility boasting the Players course and the Celebrity course. The Celebrity course is known for its aesthetics while the Players course delivers the more formidable challenge and variety. The wide range of hole lengths and shapes unveils the opportunity to employ all the clubs in your bag throughout the round and test every aspect of your game. Players are afforded seven different tee boxes to choose from ranging from 5100 to nearly 7400 yards and testing even the best of players. 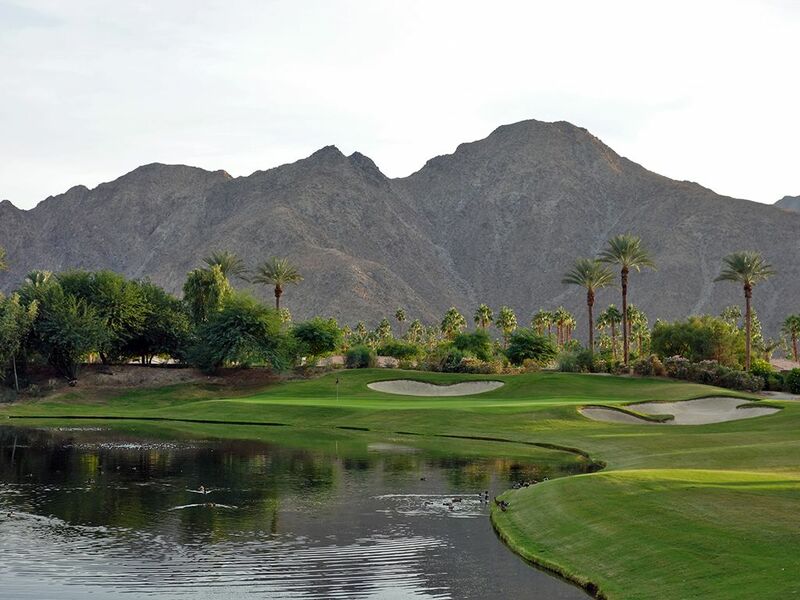 Attention is clearly placed on conditioning and service at Indian Wells Resort and you'd be hard pressed to be disappointed with either. The layout is solid from start to finish and is the kind of hole designs that PGA Tour players appreciate with no tricks, gimmicks or surprises. The proper path of attack is clear on every hole and green which leaves players with the "simple" task of execution without excuses. A wide variety of trees and plants are featured throughout and complement the plentiful mountain views afforded at every turn. 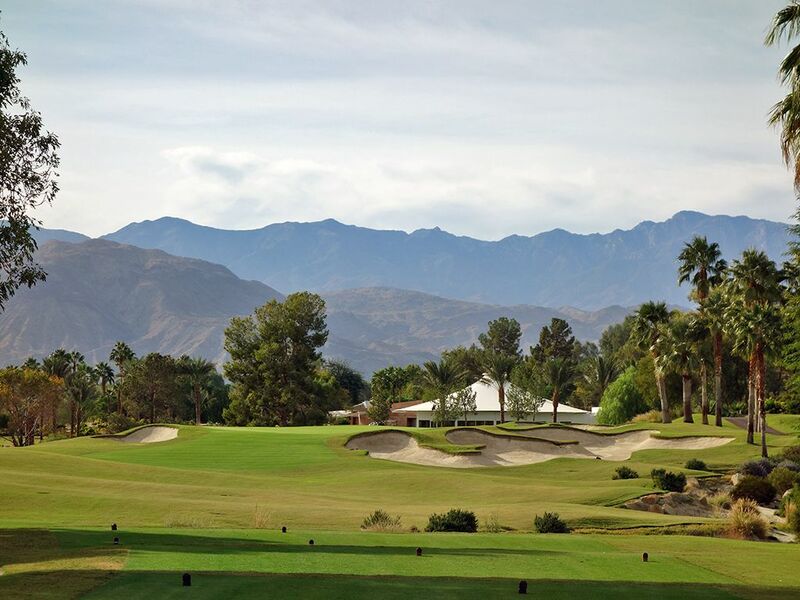 GPS carts are the call of the day and help visitors navigate the course quickly and efficiently with the Southern California desert heat preventing most players from considering walking. Ultimately the Players course is a bit understated in its presentation but brilliant in its execution. This is absolutely the type of course that would make you a better player the more times you challenged it. Signature Hole: 17th Hole – 146 Yard Par 3 – Eye candy awaits on the final one-shotter of the course with a scenic pond fronting the green with towering mountains and a collection of trees creating the background. With a bunker on the right, another in the rear, and water on the front and left, the only safe place to hit is on the putting surface. However with the hole tipping out at under 150 yards, this should be one of your easier greens in regulations and a great chance at birdie. Best Par 3: 8th Hole – 222 Yards – The 8th is a high quality hole and a bear to card a three on. The raised green is guarded by an expansive bunker on the right and a smaller bunker on the left. The slope fronting the putting surface is receptive to a ground shot but must be properly judged to climb the hill without taking extra momentum off the back of the green. The ideal shot takes aim at the tallest tree behind the green and plays a little cut shot to the middle of the putting surface. Easily the most difficult par three on the course, this is a well designed green complex and a very rewarding par. Best Par 4: 16th Hole – 396 Yards – The par four 16th plays just under 400 yards with a green that is blind from the tee. The tee shot has a pair of bunkers to split enroute to the landing area that affords the player a view of the downhill approach shot to a green that is falling away from the player to the left. Step edge bunkers surround the putting surface with a small opening being afforded at the front right of the green. A miss to the left can tumble down the hillside and set up an extremely difficult up and and down. With mystery off the tee and an exciting approach shot, the 16th is a great hole to challenge down the stretch. 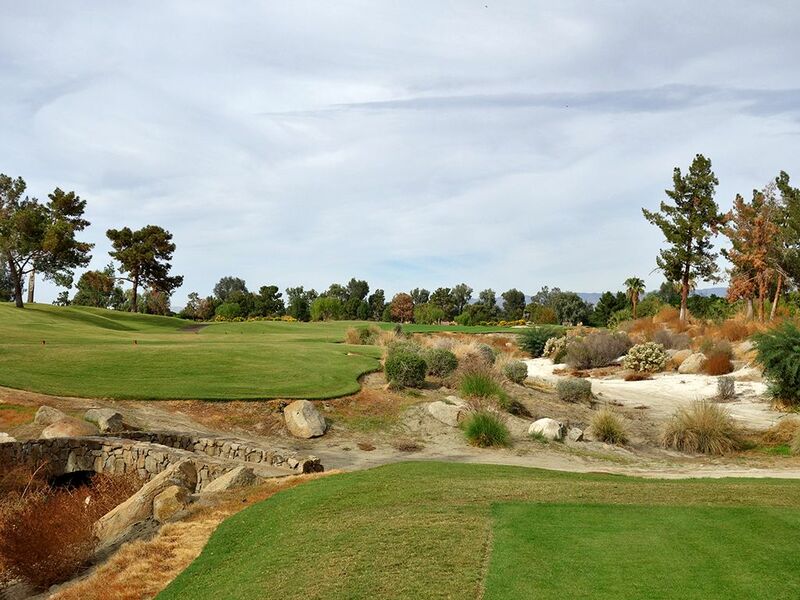 Best Par 5: 9th Hole – 626 Yards – This is a "big boy" hole. 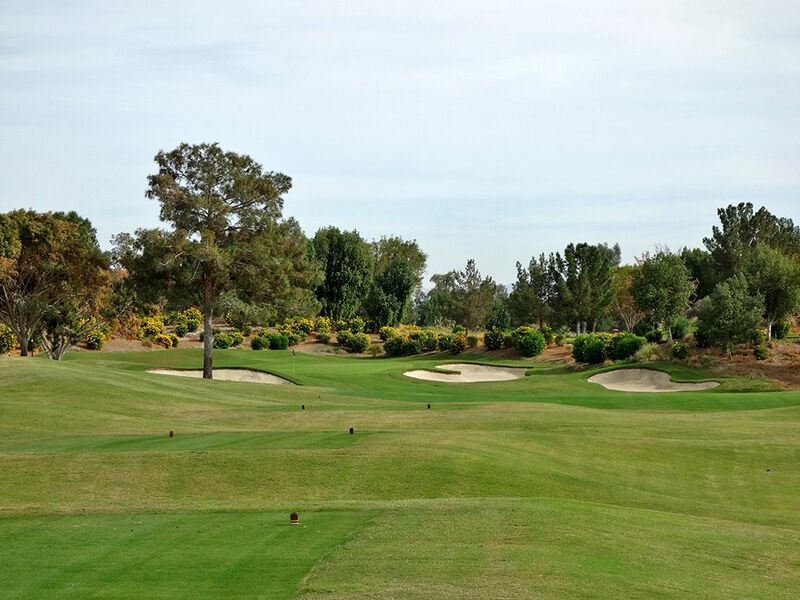 At 626 yards it is difficult to imagine many players reaching this green in two and some may struggle right off the bat to even find the fairway since it requires a 250 yard carry to reach the short grass from the tips. A fairway bunker sits on the right side of the landing area and is the first of four bunkers found on that side throughout the length of the hole. 150 yards from the green a pond comes into play on the left side while the green bends towards the water in an effort to sucker players into an aggressive line on the approach. This is a very strong finishing hole for a front nine where you can pat yourself on the back if you throw a par on the card. Birdie Time: 3rd Hole – 331 Yard Par 4 – After playing a challenging par three, Fought counters with an easy par four to give players a chance to take a stroke back from Old Man Par. 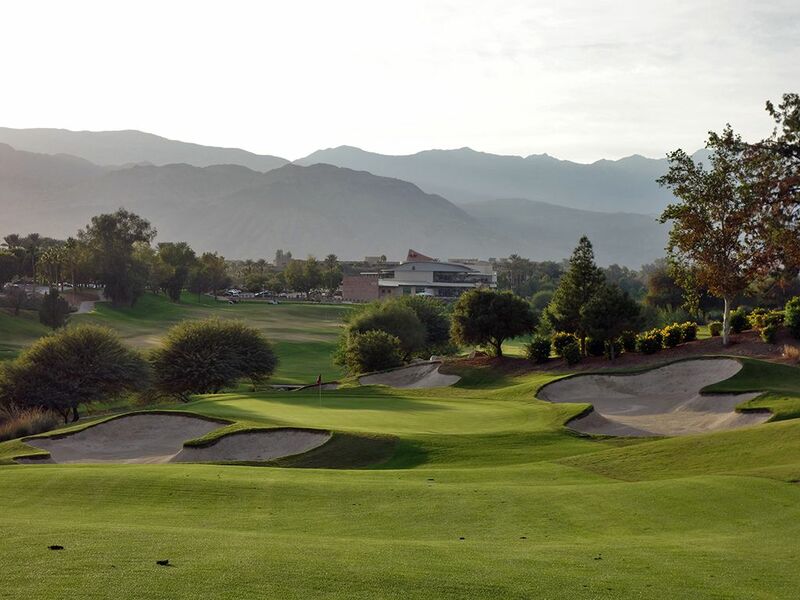 At just 331 yards from the tips, players can cut loose on their driver and chase their tee ball up near the green and set themselves up for an easy chip to the flag. If you are able to play a controlled draw off the tee you'll maximize your distance and split the bunkers laid out on the hole, but even a long iron off the tee will put a scoring club in your hands on the approach. Bogey Beware: 5th Hole – 469 Yard Par 4 – Players arrive at the 5th tee and are greeted by a waste bunker the runs the full length of the hole. Playing up the safer left side requires missing the fairway bunker that separates the short grass from a neighboring pond. The lengthy approach shot plays to a slightly raised green that is defended by a pair of bunkers on the right side and a slope off the left side. 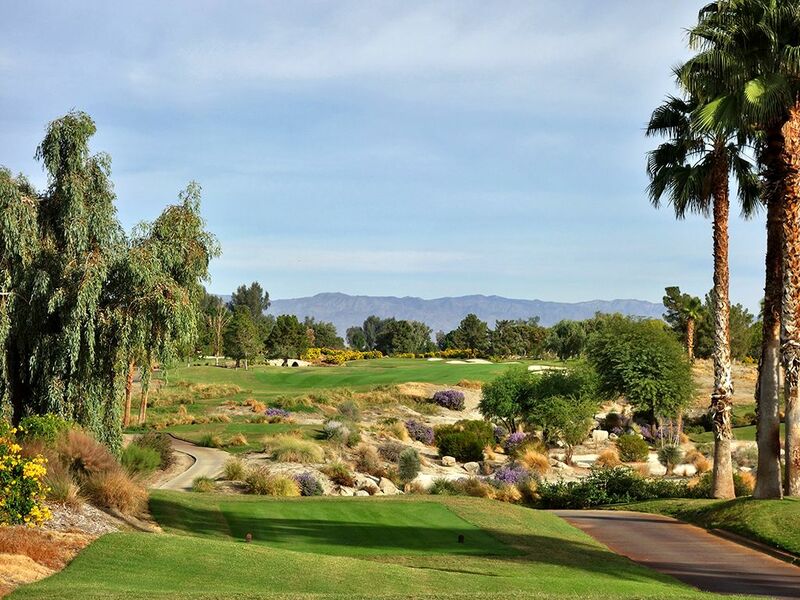 Add into the fact that you are playing into Palm Springs' prevailing wind and you have one tough nut to crack. With little to fear in front of the green, playing your second shot short and leaving yourself an easy chip may be the best way to take a big number out of play.